Every Monday we Randomly Post 3 Handicappers and there records. Our Report Only Has Elite Cappers, We Only Put the Best into Our Report. This is a Full Service Report of over 30 Cappers Daily with 100's of plays to choose from. And More being added Daily. HotlineConsensus.com You Can Purchase Our 2017 Basketball Consensus Report From Right Now to the end of the NCAAB Finals - Join Now & Start Enjoying Basketball Selection from the Top 30 Cappers in the Industry without Paying all of them their Fees. This Report is Posted everyday 7 days a week ! -All Highly Marketed Plays Included, Game of the Years, and Special Plays Etc. HotlineConsensus.com has access to Premium Plays from the most Renowned Sports Handicappers in the Business. We Will Supply A List of Our 30 Handicappers & Their Premium Plays Each & Every Game Day. This Information Would Cost You Thousands of Dollars to Purchase On Your Own. Now You Can Receive this Exclusive Information for a Small Fee! This is the Report the Bookies don't want you to know about. Now you can get all the Premium Plays from all the Top Handicappers all in one Easy to Read Format with their Records Updated on a Daily Basis. ♦ Sunday NFL Underdog Game of the Year Winner! ♦ Oklahoma State Won Outright Saturday as 8 Point Dogs! ♦ 40-8 ATS All Sports Since October 19th 2013! ♦ Must Cash Game of the Month or 30 Days All Sports Service is FREE! ♦ 21-2 ATS in NFL Preseason Last 2 Years! 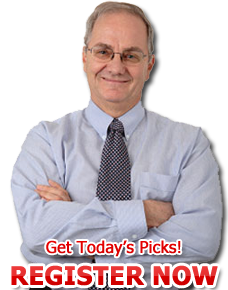 ♦ Perfect 12-0 ATS 2012 NFL Preseason! Copyright 2019 HotlineConsensus.com, All Rights Reserved.